Have fun on your holiday!!! I love the colorway of these! Ooooo, pretty! Two questions for you – they sell Tula in the Cardiff branch? Second – new fabric store in West Wales? Who, what, where, when? So sorry for the late reply! I’ve been in a caravan in Newquay for the last few days and there was zero signal/wi-fi. Yes, we have one full colourwary from both Acacia and Fox Field. The green one in both cases. Let me know if you’ll be visiting any time soon. The new shop I heard about was the craft center in Aberaeron, but it was closed when I went on Monday. Have you ever been to Annie Washbrook’s fabric store near Newport? Gorgeous! 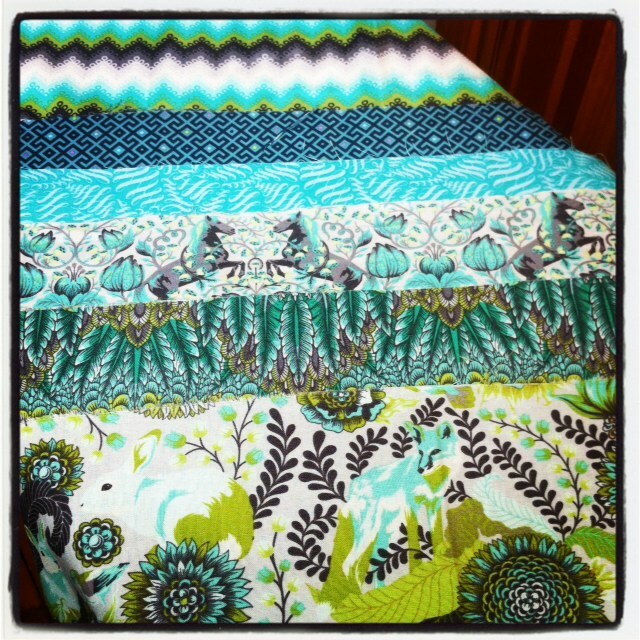 Love Tula Pink! I like your thinking! Yes every Holiday does need a souvenir!